Alonissos town. 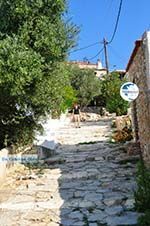 Alonissos town or Chora is the ancient capital of the Greek island of Alonissos. The locals call it Liadromia. 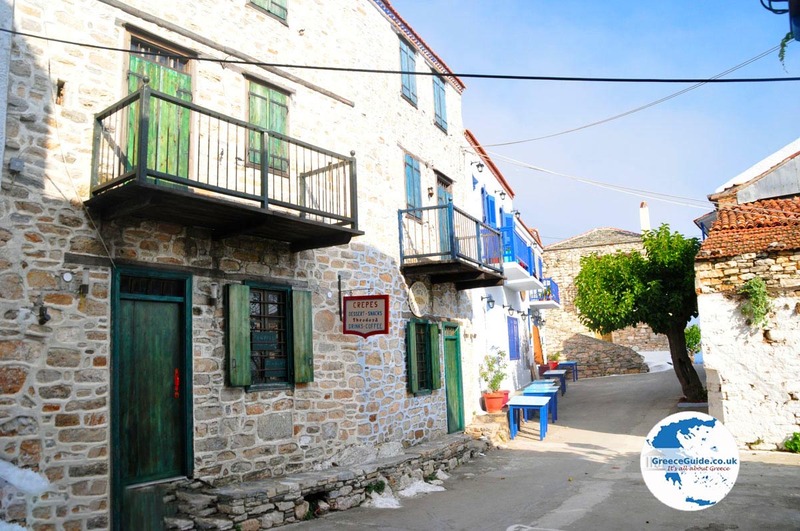 It is a small traditional village that was the capital of the island until 1965. In 1965, after a massive earthquake which completely ruined the town, all the inhabitants left to go to the village of Patitiri, where they continued to live. 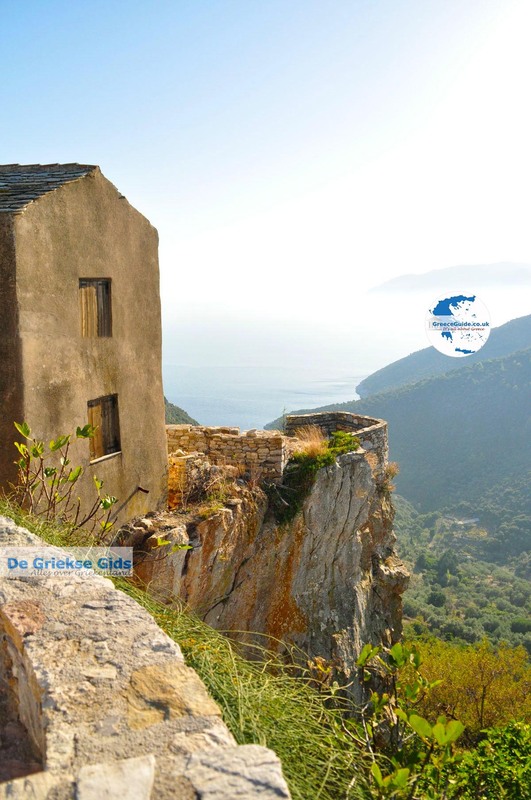 This place was formerly a medieval fortress, and it is still preserved. You can enter the village through two entrances. The village is car-free. 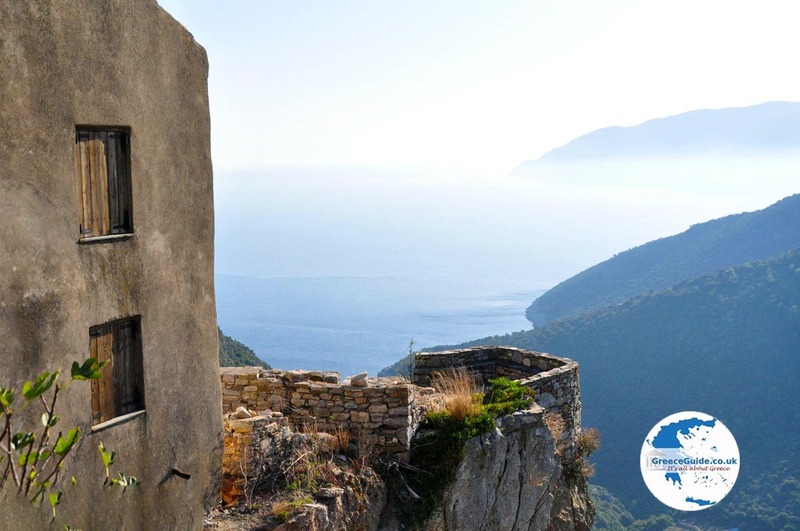 The walls of the castle protected the inhabitants of the village against pirate attacks . 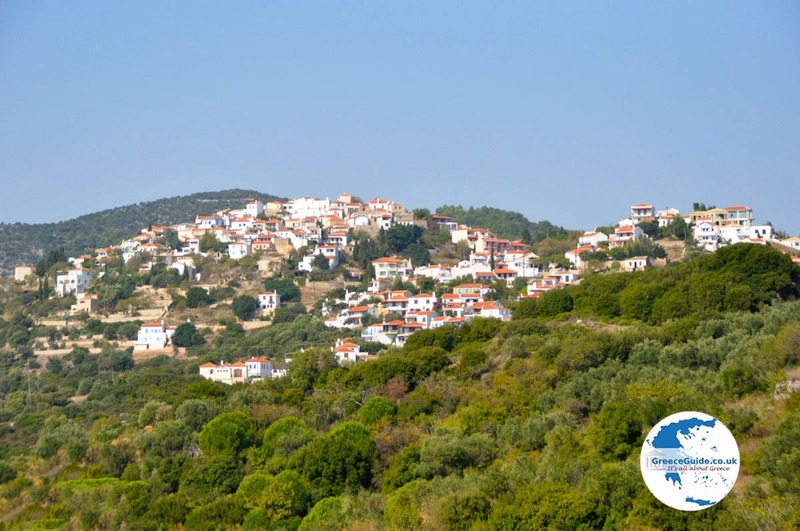 Alonissos town is located two and a half kilometres from Patitiri, which is now the new capital and port of the island. By car you can reach it within ten minutes via the main road. There is also a hiking trail,this hike takes about half an hour. 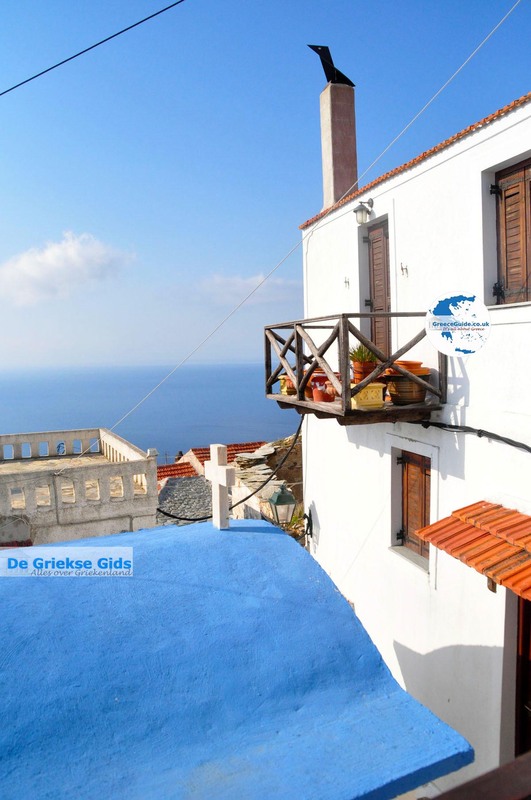 Alonissos town sits on top of a hill in the southwest of the island. When you walk through the village, you imagine yourself in other times. 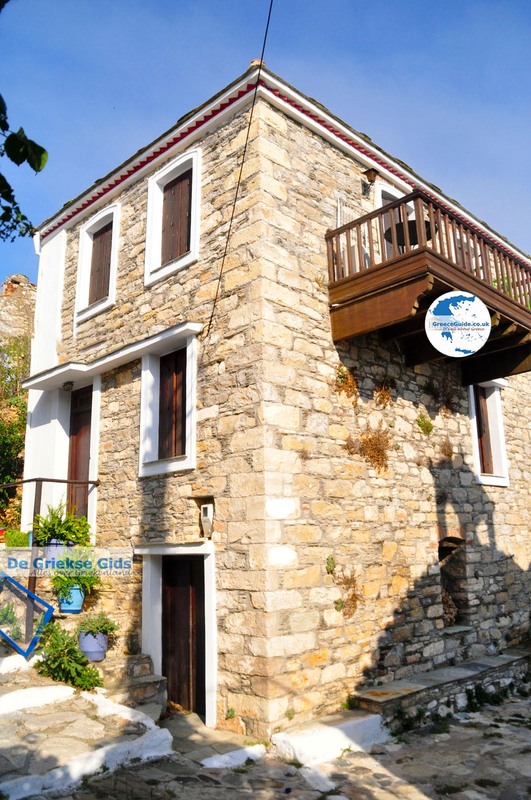 The village is now completely renovated in the old style, so it has enormous charm. 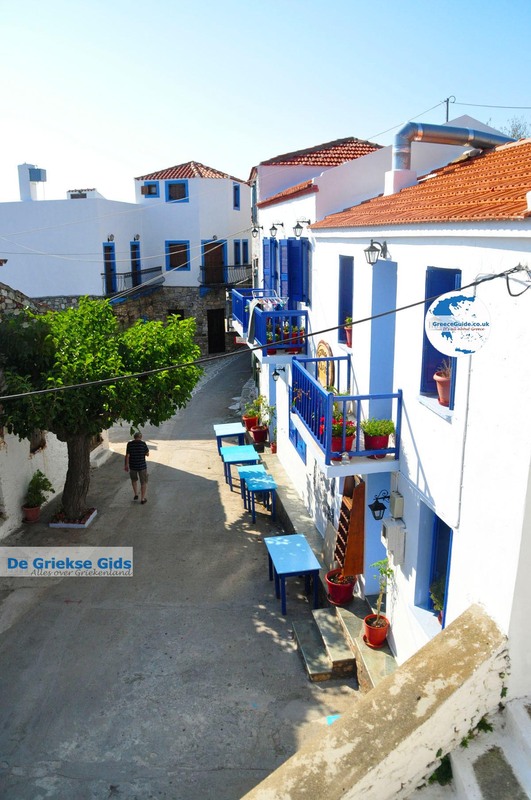 If you enter the village and walk in the narrow alleys, you see everywhere shops, cafes, restaurants and boutiques. In summer the village is always crowded. The view from the village is impressive. 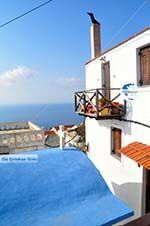 You can see the beautiful Aegean sea from here and the islands of Skopelos and Evia. In the village there are several historic churches and monuments. Very interesting is the "traditional home". This is a museum where you can see how the houses in Alonissos looked like centuries ago and how the people lived. 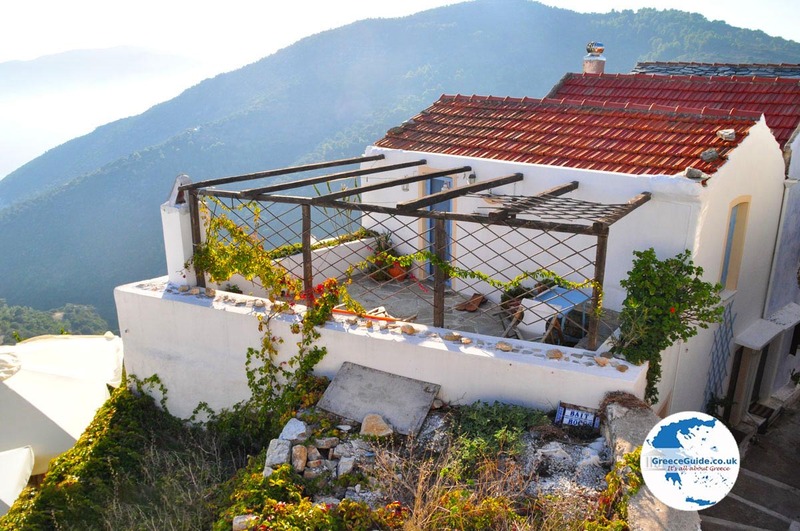 When you walk through the village you come to the café Hayiati, take a seat on the large balcony and enjoy the view. Here you can order delicious local pastry specialties with cheese, but also lots of goodies. 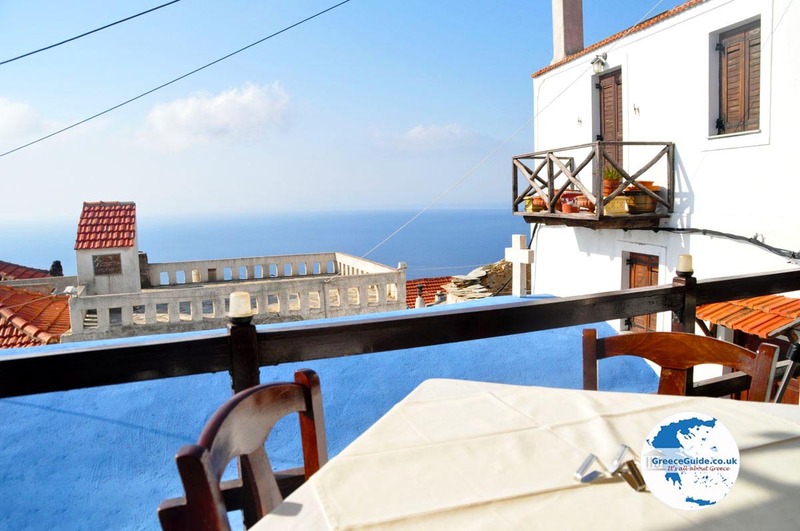 In the summer there is regular quiet live music here and the atmosphere combined with the fantastic view is extremely romantic. In the summer of 2012 John Travolta and Robert De Niro hired the whole cafe together with their friends to enjoy it. 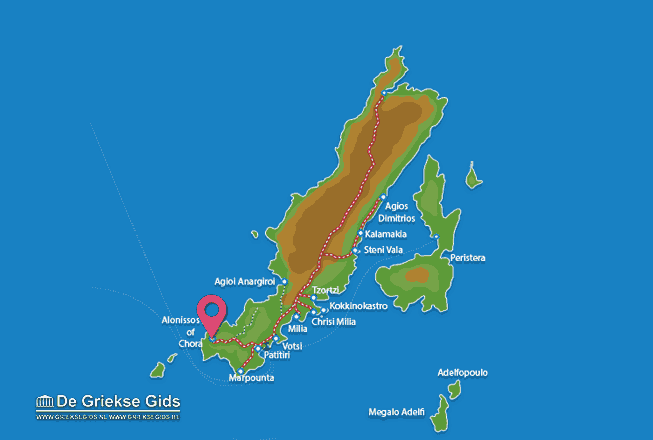 Alonissos: Where on the map is Alonissos town located?